Whether you’re thinking about going into business or taking your business to new soaring heights, you’ll get advice to help you achieve your goals. Engage in networking with women who share your desire to put the “wow” in living life to its fullest. Stroll the exhibit hall filled with 40 vendors featuring products and services to fulfill your every need, professional and personal. While indulging in fabulous lunch cuisine, hear inspirational keynote speaker Pam Iorio share her journey of success and reinvention, despite bumps, thumps, and grumps. From leadership and philanthropy to entrepreneurship and wellness, choose your path from a spectrum of outstanding speakers in the simultaneous break-out sessions. Can you say “Ah-ha moments”? There will be plenty throughout the day! Ready to wind-up or wind-down? Do both at the 4 pm concluding power reception. There’s nowhere else you can get all of this, a day full of “me” time, for just $110. Immerse in a jam-packed day of learning and laughing. When you leave, you’ll really truly believe the sky is the limit for you! By Sheryl Kurland, former OWC attendee and this year’s “The Best You: Relationships & The Little Black Dress” breakout session speaker. Announcing our 2013 Keynote Address!! Pam Iorio is the former two-term Mayor of Tampa, Florida who has launched a second career as a leadership speaker and author. Successfully leading the vibrant and growing city of Tampa for two terms, she grappled with change, goal-setting, compromise, and adversity. Now as a leadership speaker for corporations and trade associations she delivers an inspiring and empowering message about straightforward leadership – the importance of leading yourself well so that you can effectively lead others. Her leadership book Straightforward: Ways to Live and Lead (2011) was called “the best business book of 2011” by Florida Trend magazine. As mayor of the nation’s 54th largest city Pam’s tenure was marked by a revitalized downtown, a massive investment in infrastructure, economic redevelopment through Community Redevelopment Areas, a commitment to the arts, an emphasis on neighborhood improvements, an unprecedented reduction in crime, and fiscal soundness, with financial reserves tripling even during a recession. She left office in 2011 with an 87% approval rating. First elected to public office at age 26, she was the youngest person ever to win a seat on the Board of County Commissioners for Hillsborough County, Florida. At age 27 she was selected as Chairman of the Board. In 1992 she was elected for the first of three terms as the county’s Supervisor of Elections. In 1999 she served as the president of the State Association of Supervisors of Elections, where she served as spokesperson for the organization during the highly publicized 2000 presidential election in Florida. 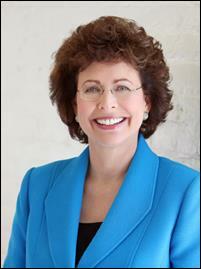 In addition to her Leadership Speaking, Iorio is the Leader-in-Residence at the John H. Sykes College of Business at the University of Tampa. She serves on the Advisory Board for Celestar Corporation, a fast growing knowledge and technology consulting company. She also serves on the Board of the USF Foundation and the USF Health System Board. Iorio holds a BA degree in Political Science from The American University and a MA degree in History from the University of South Florida. 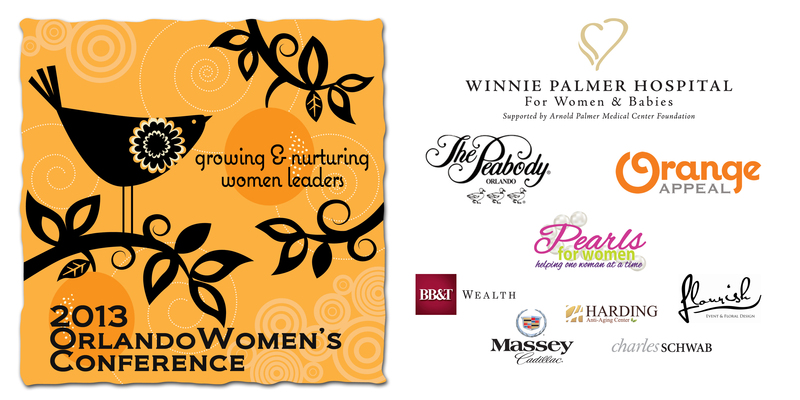 Kathy will introduce some exciting new women’s initiatives at Winnie Palmer, including the recently launched accordingtowinnie.com, a blog and interactive women’s health forum. Only 10 Exhibitor Spaces Left!!! Don’t miss your opportunity to reach Orlando’s women leaders, entrepreneurs and business owners. For exhibitor info please email kate@orangeappeal.com. 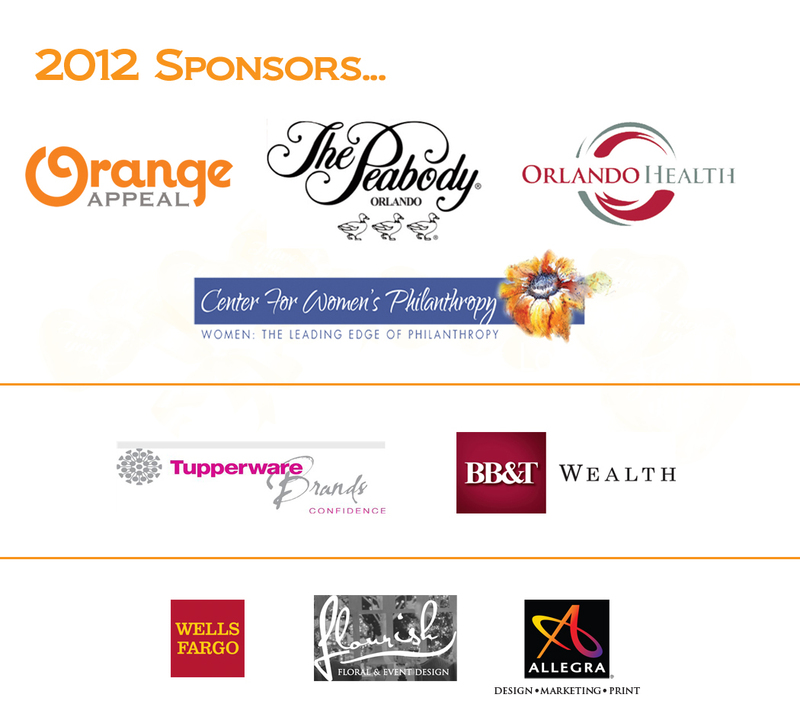 We’re only 3 days away from the 2012 Orlando Women’s Conference. Don’t miss out this day of information, inspiration and empowerment. There’s still time to register. Do so here! We’re counting down the days to the Conference, which is only 10!!! Don’t forget to register if you haven’t already done so! Click here. Be sure to arrive at The Peabody by 8:15 am on Friday, April 27 so you don’t miss our exhilarating opening session led by Coach Jenn Lee. PLEASE NOTE SPECIAL $10 SELF-PARKING FOR THE DAY. We have an exciting array exhibitors lined up, from health experts and professionals to non-profits and retailers (so be ready to shop!) They include: 100 Women Strong and Venture Philanthropists, Advanced Urogynecology, Bajalia Trading Company, Central Florida Women’s League, Cheri’s Art Uncorked, Chloe Lane Boutique, ConferenceDirect, DeNeff Gallery, Financial Advisory Institute/KM Jackson Law Firm, Flourish Floral Productions, Karen Smutz Photogrpahy, Mais Oui Fashion Accessories, NYR Organic, Orange Appeal, Orlando Aesthetic Institute, Orlando Health, Ovarian Cancer Alliance of Florida, ReDermaNu, Rodan + Fields, SCORE Orlando, Silpada Designs, The Bar Method, The Bougainvillea Clinique, The Peabody Orlando, Tupperware and Working Women of Central Florida. WE’VE HAD TWO EXHIBITOR SPACES OPEN SO E-MAIL KATE@ORANGEAPPEAL.COM IF YOU’RE INTERESTED. TABLE SPONSORSHIPS ARE STILL AVAILABLE FOR $1,000. They include 10 conference registrations, reserved seating at the luncheon and listing in conference materials. RESERVE BY THURSDAY IN ORDER TO BE LISTED IN CONFERENCE PROGRAM! Pay by PayPal or e-mail Kate@orangeappeal.com to reserve. Thank you to our table sponsors to date: Mears Transportation, The Bougainvillea Clinique, Foley & Lardner LLP/Larsen Allena, Nemours, Fifth Third Bank, CNLBank, WBQ Design & Engineering, Sanford-Burnham Institute, Florida Hospital, Orlando Magic, Diane Meiller & Associates, SeaWorld and Pearls for Women. We’re excited about all our sessions and speakers lined up for this year. Check out our updated schedule. Finally a big thank you to all of our sponsors! Early Bird Pricing Closes Today!!! We have added some updates to our speaker sessions, and will continue to update as the Conference nears. Check out what’s new here. TABLE SPONSORSHIPS ARE STILL AVAILABLE FOR $1,000. The sponsorship includes 10 all-day registrations, reserved seating for 10 at the keynote luncheon and listing in conference materials (program, website, etc.) Thank you to our table sponsors to date: CNLBank, Diane Meiller & Associates, Florida Hospital, Fifth Third Bank, Foley & Lardner LLP/Larsen Allen, Mears Transportation, Nemours, Orlando Magic, Sanford Burnham Institute, The Bougainevillea Clinique and WBQ Design & Engineering. A HUGE THANK YOU OUR VARYING LEVELS OF SPONSORS! We are working hard to finalizing our speakers and sessions, but we have posted the updated list and schedule. Take a look and don’t forget to register by April 5 for early pricing of $ 95!!! We only have 10 exhibitor spaces left!!! E-mail kate@orangeappeal.com to reserve your space. Join our amazing line-up of diverse exhibitors: Allegra Printing, Bajalia Trading Company, Central Florida Women’s League, Cheri’s Art Uncorked, ConferenceDirect, Financial Advisory Institute, KM Jackson Law Firm, Flourish Floral Productions, Mais Oui Fashion Accessories, NYR Organics, Orlando Health, Ovarian Cancer Alliance, Rodan + Fields, The Bougainvillea Clinique, The Peabody, Women’s Center in Philanthropy, Zou Zou Boutique and more!!! Keep checking back for updates to our speaker list and session schedule.